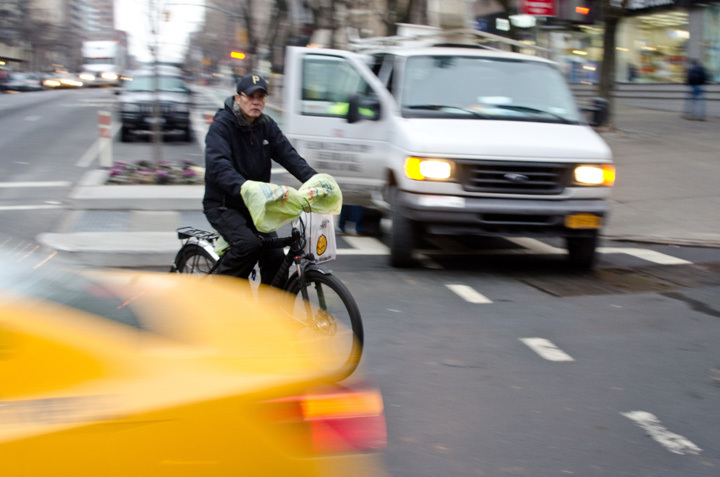 In New York, bicycle accidents happen quickly when bike lane users have to slalom between the delivery trucks that are using the lane as a parking spot. Yesterday, the NYPD took action and started to issue tickets to all delivery trucks parked on the bike lane on Columbus Ave between west 110th and west 77th street. A vitriolic article in the New York Post that implies that trucks have to double park in the middle of the Ave because of the bike lane got blasted by Streetblog that made clear that poor curb policies around the city and not bike lanes are the reason why delivery trucks are double parking everywhere including in streets with no bike lanes.